Today is Primary Day. 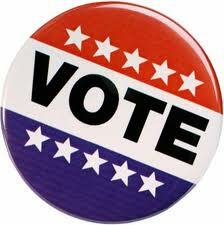 If you are a registered Independent, you should be voting today for the 17th Legislative District Primary. Dennis Garetano is challenging the incumbent Lou D’Amaro for the Independence line in the November 2011 elections. This election is likely to be decided by a very small number of votes, so every vote is very important. If you are not sure if you are part of the 17th legislative District follow the instructions below. This will also remind you of what party you are registered with and the location of your polling place. Under popular links click on Find your polling place. Enter your voter registration information and hit search. Voter District Information will be listed. Look for County Legislative District. If it says 17, and you are a registered Independent, you are eligible to vote tomorrow.